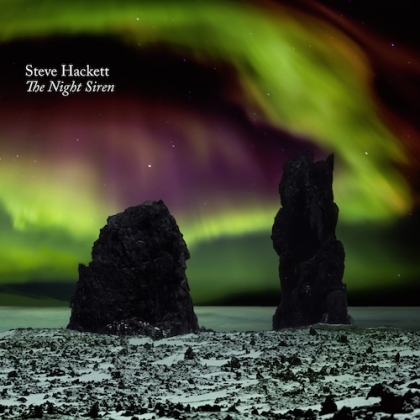 Guitar virtuoso Steve Hackett (formerly of Genesis) releases his new studio album THE NIGHT SIREN on 24th March. The album of the guitar virtuoso features musicians from several different countries, celebrating multicultural diversity and unity. This includes singers from Israel and Palestine, who both actively campaign to bring Jewish and Arabic people together. There are also instrumentals from the USA and Iraq and a multiplicity of sounds, including the exotic strains of Indian sitar and Middle Eastern tar and oud, the ethnic beauty of the Peruvian charango and the haunting Celtic Uilleann pipes. Hackett also brings his new show Genesis Revisited with Classic Hackett to the UK for 15 dates in April/May culminating in a nearly sold out show at The London Palladium. The tour celebrates the 40th anniversary of the classic Genesis album Wind and Wuthering, and they will be performing several tracks from the album as well as fan favourites such as ‘The Musical Box’ and other Genesis numbers never performed before including ‘Inside & Out,’ ‘One For The Vine’ and ‘Anyway’ as well as classic Hackett and new material from The Night Siren.